Hand embroidery is a centuries-old form of artwork and self-expression that can be described as "painting by needle." The Collections offered by Amaya are just that, wearable works of art and a true style statement. 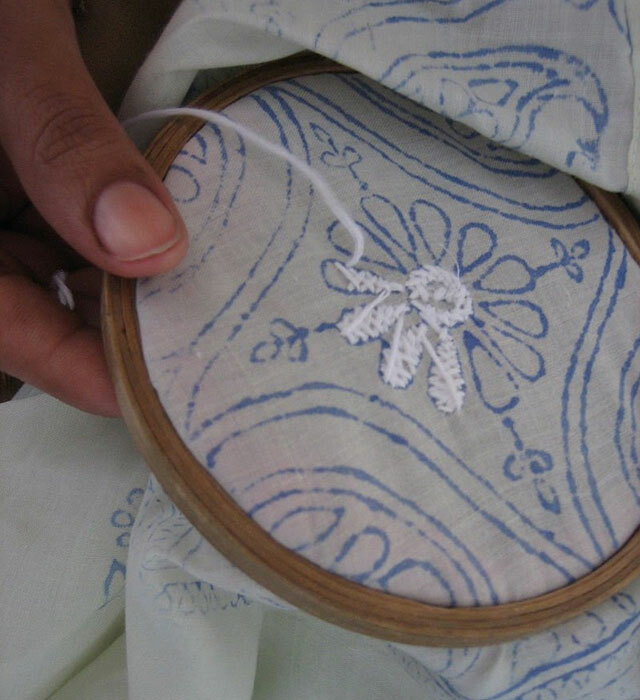 Indian embroidery was originally all done by hand and only in white thread. The inspiration for patterns was found in nature, and over the centuries only a few select traditional patterns have endured. You can see their influence today in Amaya’s collections. 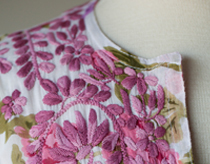 At Amaya, we take pride in the fact that we use embroidery styles dating back to ancient Persia. 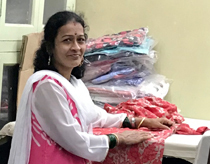 But we’re even prouder of our artisans in small northern villages of India who can improve their lives and living conditions through their work with us. 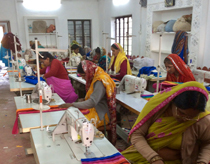 We use traditional hand embroidery as well as block and screen printing. 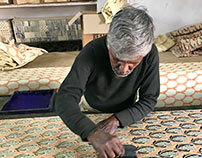 Block printing requires the intricate carving of wood with a design cut by hand; the design is then transferred onto fabric also by hand. Screen printing is a similar process, but metal is used instead of weed and is also done by hand. When you wear Amaya apparel, you are wearing an art piece that is timeless, classic and a reflection of cultural heritage. Not only is it a wearable piece of art and a form of style expression, but it also directly improves the lives of those who made that very piece.